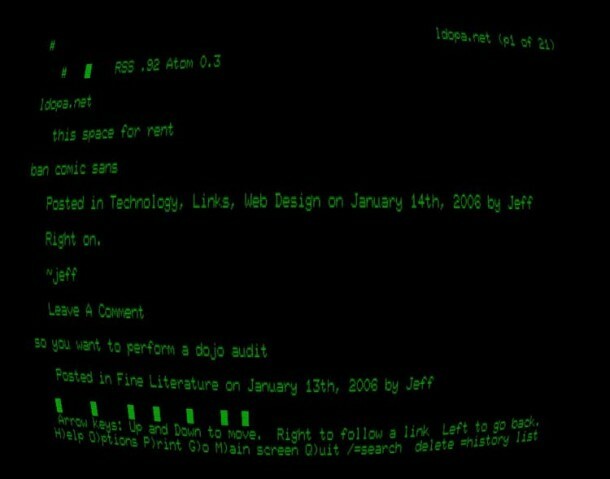 Remember the old days, where we’d all be peering at little 10″ fisheyed black screens with green or amber text? Well you can relive the computing 70’s and 80’s with this funky app that emulates the appearance of an old terminal. Complete with display curviture, shoddy colors, and even settings for simulated baudrate lag, you’ll be thinking it’s 1979 in no time. The GLTerminal program is not without error though, and getting it to run properly requires some minor digging around in the preferences. Now hit command-return and you should be in full screen retro terminal mode with all its glory. I’m having way too much fun with this. It’s mildly sad that it reminds me of … my childhood!